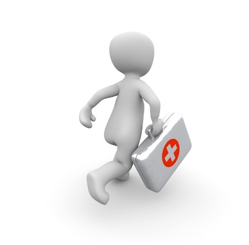 Why it is important for international students to have health insurance? Health insurance is not only a smart idea for international students to have but it can protect you from financial burden if an unexpected illness/injury should happen. There is no national or free public medical assistance. In the U.S. to have access to low-cost or public health care is very limited. Generally, international students are not eligible for most programs. Medical care is expensive. A visit to the emergency room can cost you thousands of dollars. 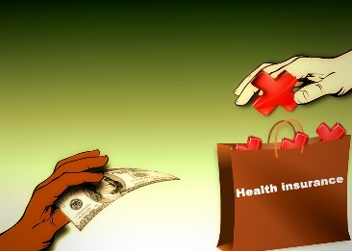 Having health insurance will lower your medical costs significantly. International students are responsible for their own health insurance and health care costs. 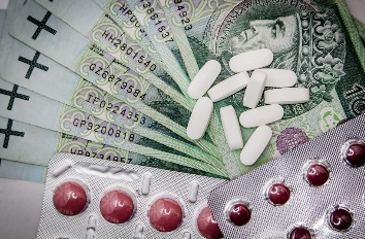 Maintaining health insurance coverage is MONEY WELL SPENT while studying abroad. No one can predict what will happen in the future, but whatever happens you will be covered. The premium is the amount that you pay to purchase the insurance coverage. A deductible is the amount you pay for health care services before your health insurance begins to pay. Example: Your plan’s deductible is $1500. That means for most services, you’ll pay 100% of your medical and pharmacy bills until the amount you pay reaches $1500. After that, you share the cost with your plan by paying coinsurance and copays. Co-Insurance is the percentage you pay after the deductible is paid. It’s your shares of the costs of a health care service. Example: You have allergies, so you see a doctor regularly. You just paid your $1500 deductible. Now your plan will cover 70% of the cost of your allergy shots, you pay the other 30%, that’s your coinsurance. Copay is a fixed amount you pay for a health care service, usually when you receive the service. The amount can vary by type of service. You may also have a copay when you get a prescription filled. Example: A doctor’s office visit might have a copay of $30. The copay for an emergency room visit will usually cost more. For some services, you may have both copay and coinsurance. A medical condition determined to have been in existence before the policy went into effect. Now, in easy words how does it work for you? *Deductible: A plan with high deductible will have cheaper monthly payments. But you’ll pay a lot upfront when you need care. *Coinsurance: The lower a plan’s monthly payments, the more you’ll pay in coinsurance. *Copays: If you visit your doctor or pharmacy often, you might want to choose a plan that has a low copay for office visits and prescriptions. What is the maximum coinsurance? Is there a in-network hospital near by? Where do you get health insurance? There are several private companies that offer health insurance for international students, but we recommend visiting these two websites listed below. They can design a plan that fit for you. Smart Plan is the most affordable, but they have three other plans in the website. Each plan level offers different coverage limits. You are eligible if you have a current passport or visa and are temporarily residing outside your home country, while actively engaged in education. Hertz , Adobe Systems, Amazon, Vision Direct, Walmart, Best Buy. 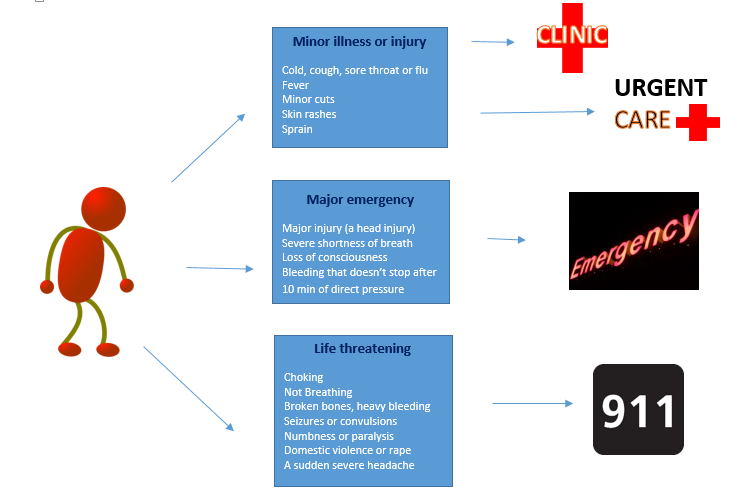 Where do you go when you get sick or injured? It maybe be common for you as a member of the international community to seek help at a hospital Emergency Room (ER) for non-emergency medical care because you might be accustomed to visiting a hospital for such care in your home country. However, in the US using the emergency room for non-emergencies costs you more money because emergency room benefits are only paid for true emergencies.